Got a baby in your belly? Can’t figure out whether exercise right now is a good thing, or bad? First off, it’s essential that you get the all clear from your doctor to exercise once your pregnancy is confirmed and this will be re-evaulated with each check-up. Here, why your baby will be super-smug if you do exercise – followed by exactly how to go about it safely. Research in the Journal of Physical Activity and Health showed that exercising while pregnant can improve sleep and lessen anxiety – which has a positive impact on the foetus and reduces the risk of pre- or post-natal depression. Exercise has been shown to reduce the birth weight of babies, reducing their risk of disease later on. A study published in The Lancet in 2010 found that pregnant women who gained 22.5kg had double the risk of having an infant with a high birth weight compared with those who only gained about 10kg. Being heavier at birth increases the likelihood of that individual being obese as a child and later on as an adult, which increases their chances of developing diabetes and metabolic syndrome. The foetus gains nutrients and oxygen via the placenta. Regular exercise, especially weight bearing, has been shown to improve placental size and function. This may contribute to studies that show pregnant women who exercise are more likely to have children with better academic and sporting performance. Your kid could be the next Elon Musk! It may be 2018, but women still die as a result of pregnancy and birth complications. Exercise lowers the risk of common killer conditions such as preeclampsia and gestational hypertension. 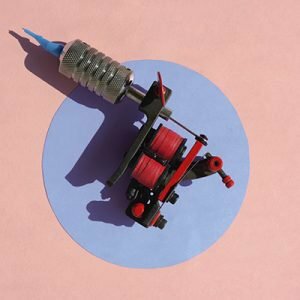 READ MORE: Give It To Me Straight – What Do Contractions Really Feel Like? So, How Much Exercise Is Okay? “Current international and South African guidelines recommend that in the absence of any medical or obstetric complications, a pregnant woman can train on most, if not all, days of the week – regardless of the stage of the pregnancy. The regular recommended amount of 150 minutes a week applies in pregnancy too,” says Dr Etti Barsky, sports scientist and training director of Preggi Bellies fitness programme. “The crucial thing is supervision. 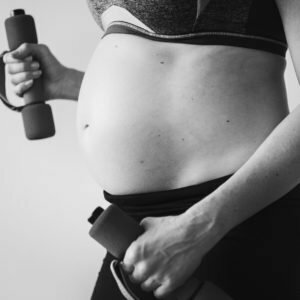 It is important to exercise with (or at least get advice from) someone who can appreciate the changes that happen in the body during pregnancy, understands the effects exercise has on the pregnant body and then knows how to adjust exercises or a training plan suitably,” she says. 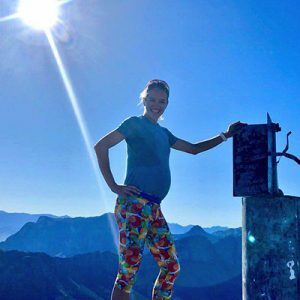 If you were already in shape before pregnancy, Barsky says you can continue with the activity as long as it’s comfortable. “Be aware and acknowledge if something doesn’t feel right. This is not the time to push through the pain or the wall!” Contractions while you exercise, being short of breath, feeling tired on a particular day, having a headache or experiencing pelvic or lower-back pain are all signs you should slow down. “Bleeding, shortness of breath before you even start exercising, dizziness, chest pain, muscle weakness, calf pain or swelling (especially if it’s one-sided), preterm labour, decreased foetal movements and amniotic fluid leakage all require medical attention and you should stop exercising until you have been given the green light again,” she warns. Obviously, you need to avoid exercises where there is the potential of getting hurt in your stomach, such as martial arts, but exercise at high altitudes and diving are also out. Barsky also has a surprising recommendation – avoid walking. “Rather run,” she says. “Because your centre of gravity shifts forwards and downwards in pregnancy, your weight gets carried through your knees. Your glutes also tend to waste a little, which is why at Preggi Bellies we train on a ball. Furthermore, walking aggravates pelvic instability. When you run, you tend to be more upright, take smaller strides and focus on holding your core, which helps stabilise the pelvis,” she says. Lastly, she adds that you need to ensure you’re drinking enough while exercising (being dehydrated will limit the intensity of your training) and only exercise in a well-ventilated and cool area. “Overheating can cause damage to the foetus in the first trimester of pregnancy. Usually, you do not know that you are pregnant until roughly the six-week mark. So, if you are starting to try for a baby, I would recommend you avoid training in heated environments,” she says. Reaching the end of the journey? Moderate exercise throughout your pregnancy may help set you up for a shorter first stage of labour, according to a 2016 study from The Science of Lifestyle Change. Barsky also references an abundance of airtight research that shows moderate exercise during pregnancy also leads to a decrease in the need for pain relief, operative intervention or episiotomy, a decrease in the incidence of maternal exhaustion, as well as a decrease in the need to either induce or stimulate labour. Basically, you’re primed to push. Nice.